The youth of the Arab world have had a particularly inspiring – if turbulent – last couple of years. Protests, revolutions and taste of real empowerment has made it into their lives and encouraged them to work to shape the future they want. As well as political corruption, one issue that is worrying young people is what the future holds if climate change isn’t dealt with. The formation of the Arab Youth Climate Movement ahead of COP18 has seen some of that concern realised into action. 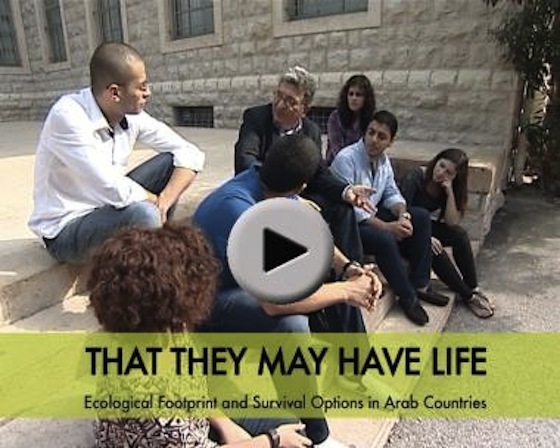 Now, students at the American University of Beirut (AUB) have worked with the Forum for Environment and Development (AFED) to create an informative and touching documentary on the environmental challenges facing the Arab world titled ‘That They May Have Life’. ‘That They May Have Life’ is AFED’s fifth documentary and charts the increase in Gross Domestic Product (GDP) over the last 50 years amongst Arab nations and why this has not always translated into a better quality of life nor has it enhanced the chances of sustainable living. Energy inefficiency, increased resource use, lack of regional co-operation and lack of forward thinking has meant that the Arab world is increasingly unsustainable. 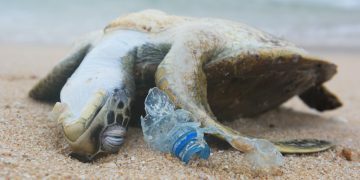 The documentary is based on an AFED report, “Survival Options: Ecological Footprint of Arab Countries”, which concludes that the Arab region must focus on regional cooperation, resource efficiency, and balanced consumption. It also shows that students are genuinely concerned about what the future holds for them and their children and what the ways forward could be. AFED’s other short films include ‘Testimony of an Old Man’ in 2008, ‘Wet and Dry’ in 2009, ‘The Last Drop’ in 2010, and ‘Green Change’ in 2011. All the videos can be found on AFED’s Youtube channel– Albiaa AFED.